Higher velocity, fabulous accuracy and incredible range. 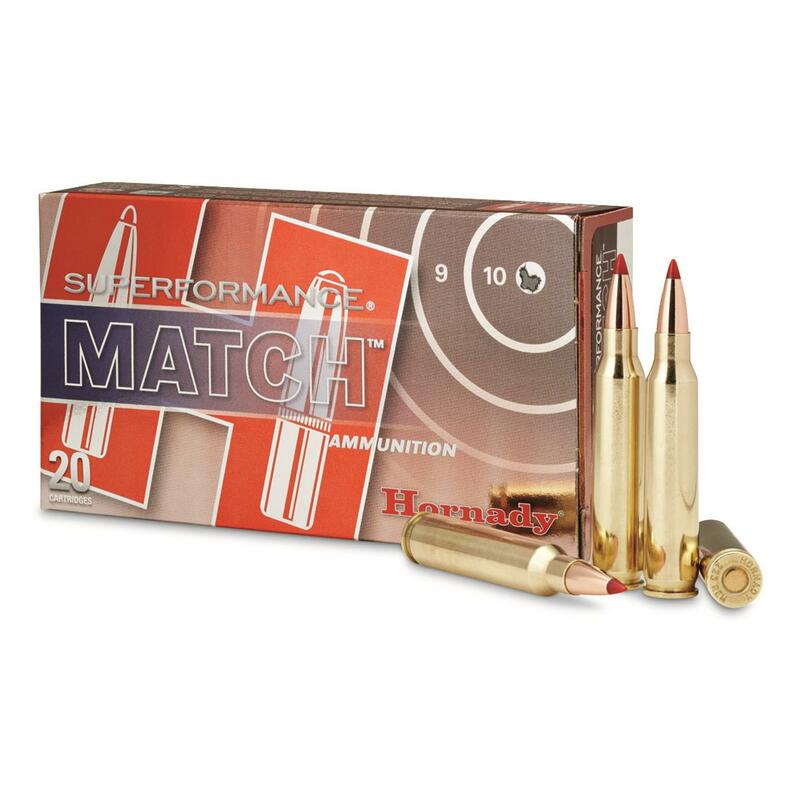 High-level competitive shooters, military shooters and law enforcement rely on Hornady® Superformance® MatchTM Ammo for when it matters most. They know its higher muzzle velocity, awesome accuracy, increased range and reduced wind drift show up big time when it's time to pull the trigger. Superformance® MatchTM ammo reaches velocities 100-200 FPS faster than conventional ammo, and it features the finest bullets. It also marries the best cartridge cases with extremely stable propellants. Make Superformance® MatchTM part of your shooting team.